Soon the government’s Indian Protection Service and religious missionary groups established themselves there. 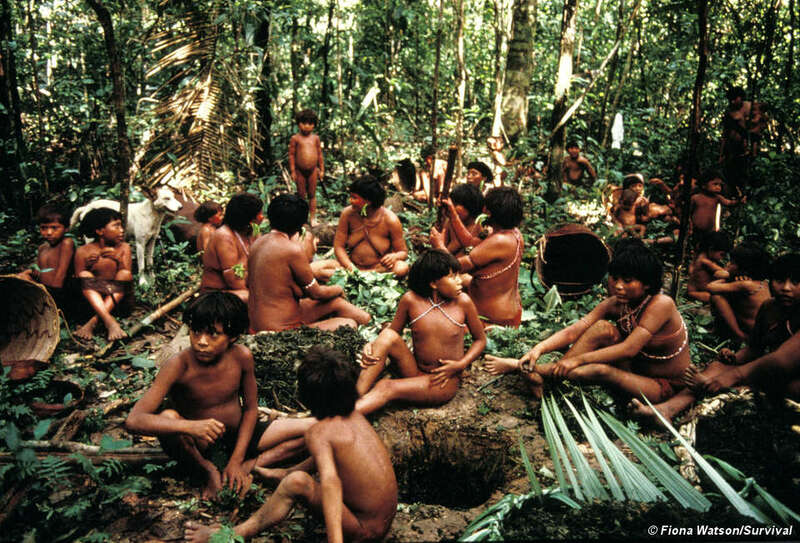 This influx of people led to the first epidemics of measles and flu in which many Yanomami died. 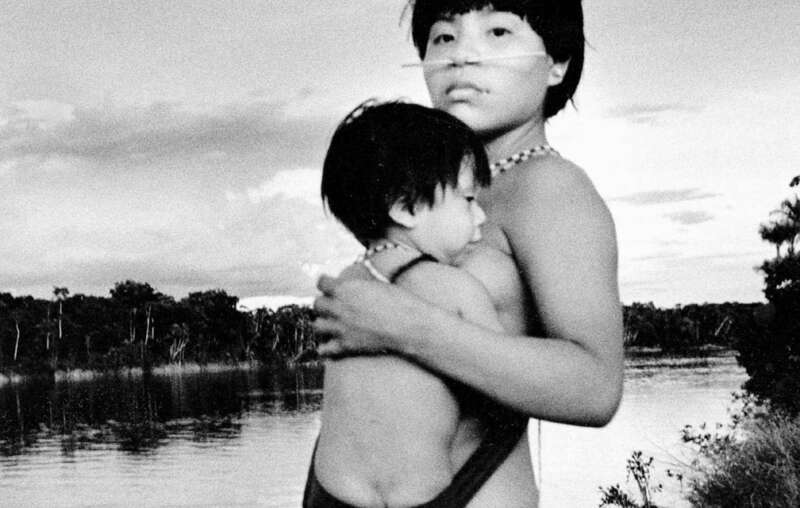 Yanomami mother and child alongside the river. Gold miners work illegally on the Yanomami’s land, Brazil, 2003. 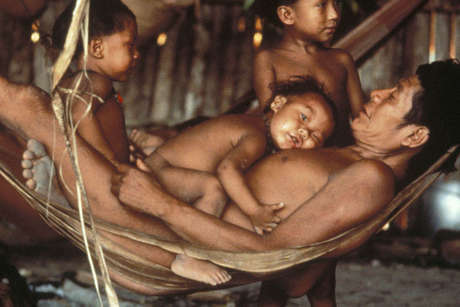 A Yanomami maloca. The Yanomami live in large, circular, communal houses called yanos or shabonos. Some can house up to 400 people. The central area is used for activities such as rituals, feasts and games. 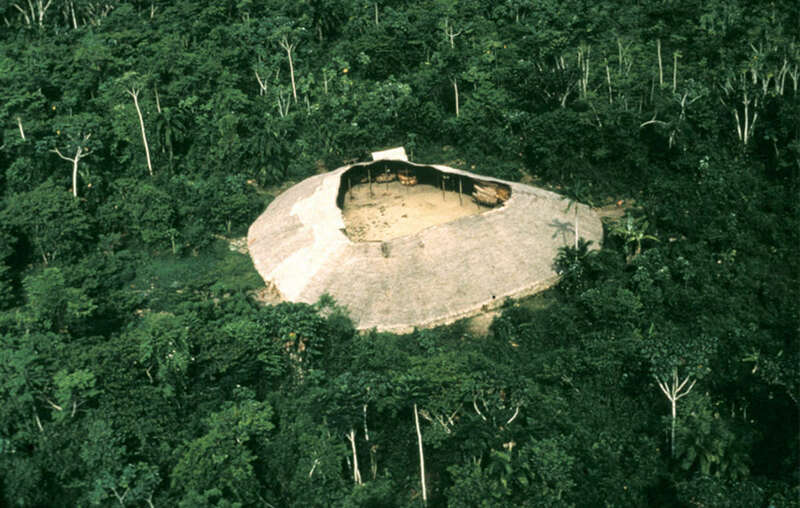 The Yanomami live in large, circular, communal houses called yanos or shabonos. Some can house up to 400 people. The central area is used for activities such as rituals, feasts and games. Each family has its own hearth where food is prepared and cooked during the day. At night, hammocks are slung near the fire which is stoked all night to keep people warm. The Yanomami believe strongly in equality among people. 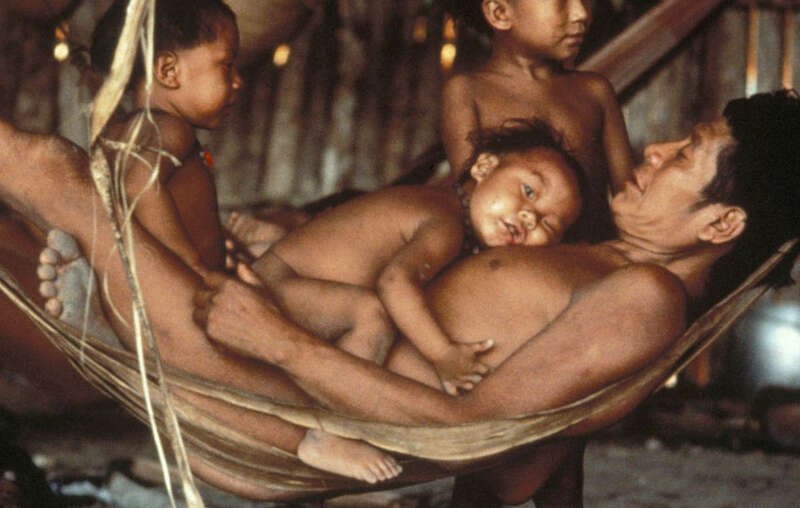 Each community is independent from others and they do not recognize ‘chiefs’. Decisions are made by consensus, frequently after long debates where everybody has a say. 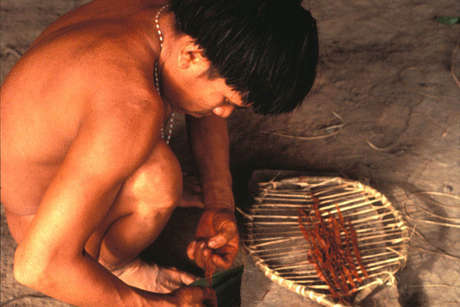 Like most Amazonian tribes, tasks are divided between the sexes. 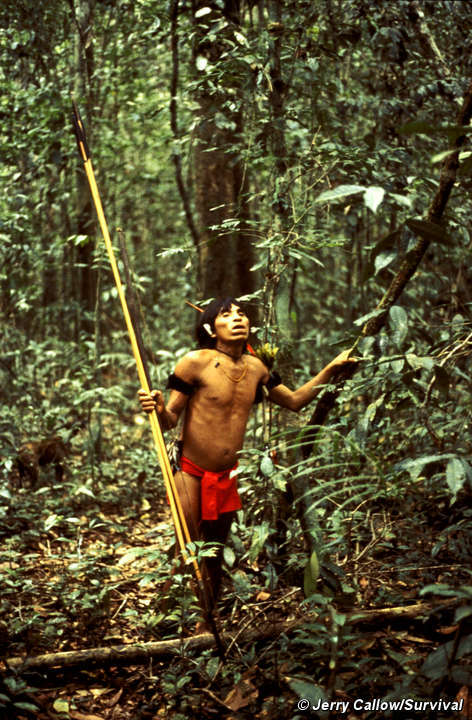 Men hunt for game like peccary, tapir, deer and monkey, and often use curare (a plant extract) to poison their prey. 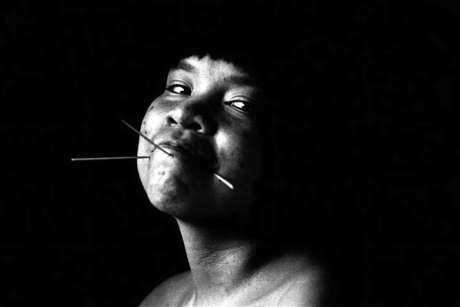 Yanomami of Demini prepare timbó poison from a vine, used to stun fish, Demini, Brazil. 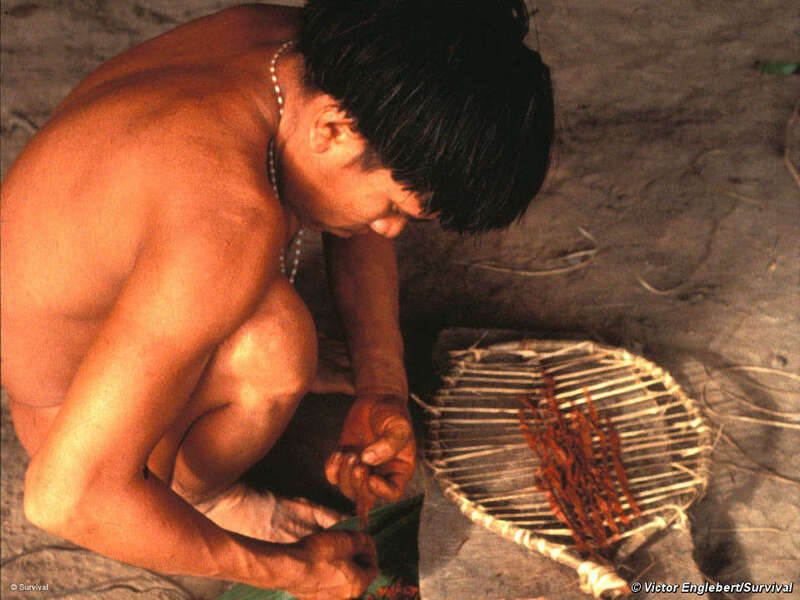 Although hunting accounts for only 10% of Yanomami food, amongst men it is considered the most prestigious of skills and meat is greatly valued by everyone. No hunter ever eats the meat that he has killed. Instead he shares it out among friends and family. In return, he will be given meat by another hunter. Women tend the gardens where they grow around 60 crops which account for about 80% of their food. They also collect nuts, shellfish and insect larvae. 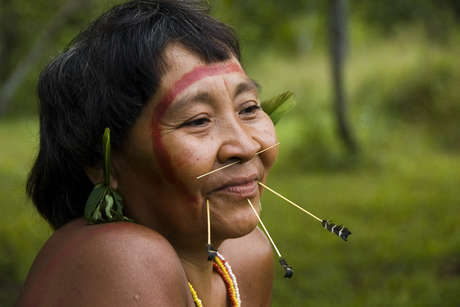 Wild honey is highly prized and the Yanomami harvest 15 different kinds. 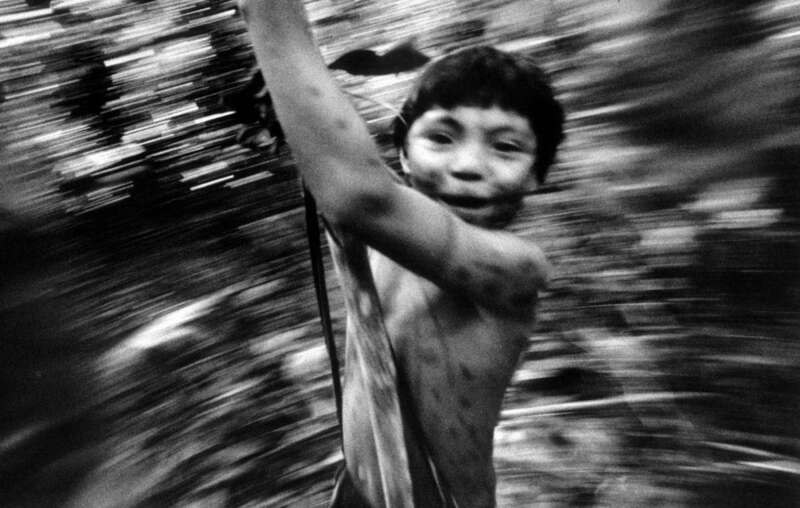 Yanomami boy in the rainforest, Brazil. 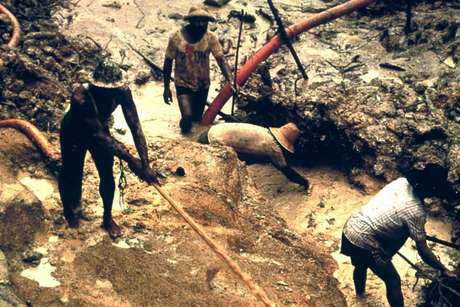 Both men and women fish, and timbó or fish poison is used in communal fishing trips. Groups of men, women and children pound up bundles of vines which are floated on the water. The liquid stuns the fish which rise to the water’s surface and are scooped up in baskets. They use nine species of vine just for fish poisoning. 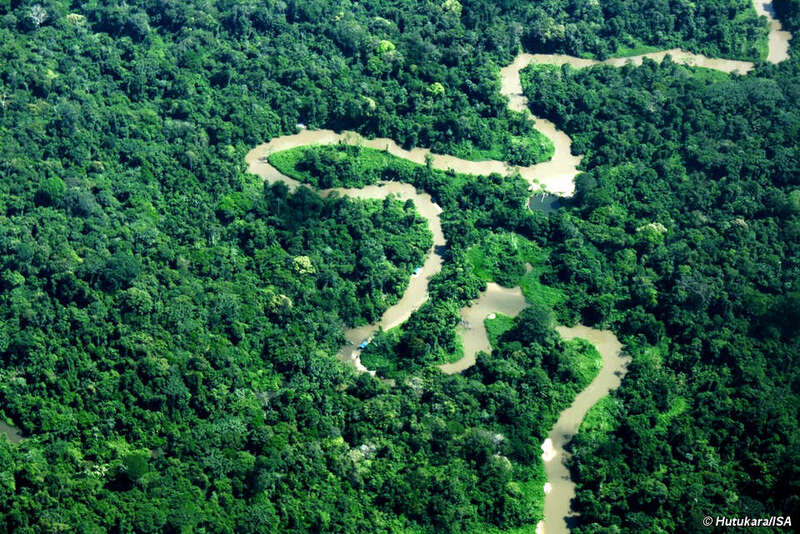 The Yanomami have a huge botanical knowledge and use about 500 plants for food, medicine, house building and other artefacts. They provide for themselves partly by hunting, gathering and fishing, but crops are also grown in large gardens cleared from the forest. 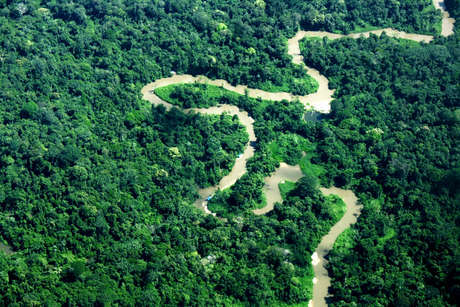 As Amazonian soil is not very fertile, a new garden is cleared every two or three years. 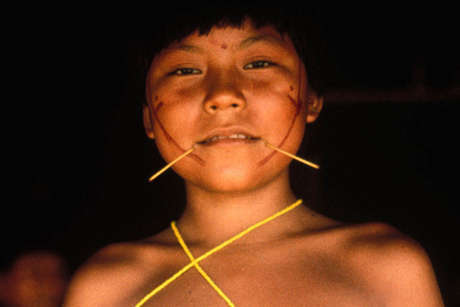 The spirit world is a fundamental part of Yanomami life. Every creature, rock, tree and mountain has a spirit. Sometimes these are malevolent, attack the Yanomami and are believed to cause illness. 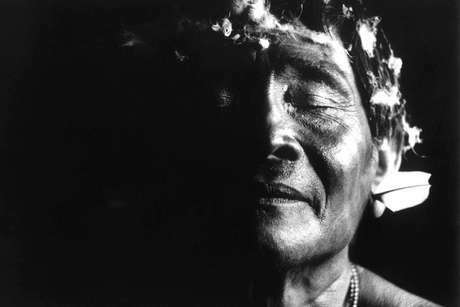 A Yanomami shaman. 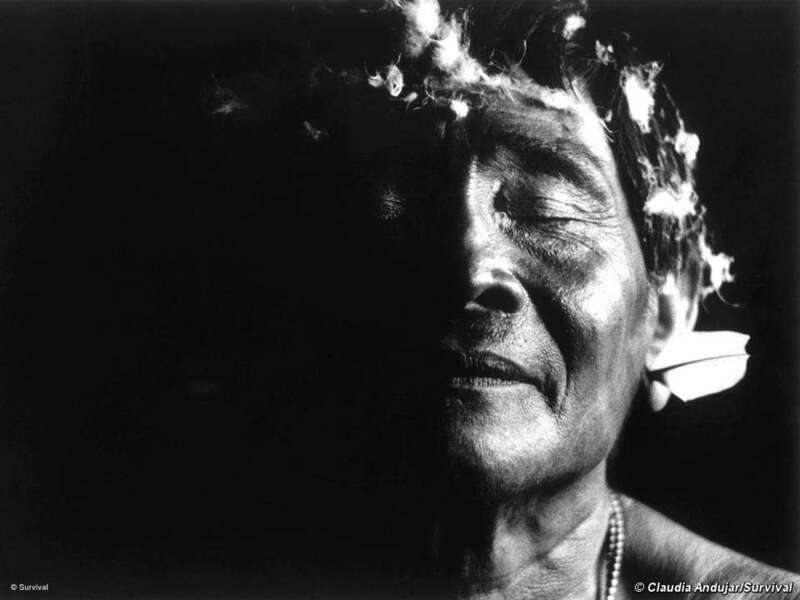 The spirit world is a fundamental part of Yanomami life. Every creature, rock, tree and mountain has a spirit. Sometimes these are malevolent, attack the Yanomami and are believed to cause illness. Shamans control these spirits by inhaling a hallucinogenic snuff called yakoana. 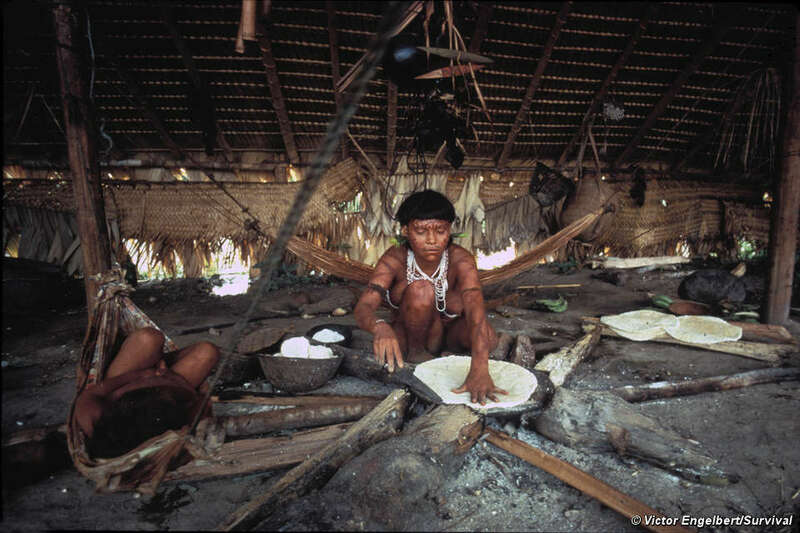 As is typical of hunter gatherers and shifting cultivators, it takes the Yanomami less than four hours work a day on average to satisfy all their material needs. Much time is left for leisure and social activities. Inter-community visits are frequent. Ceremonies are held to mark events such as the harvesting of the peach palm fruit, and the reahu (funeral feast) which commemorates the death of an individual. 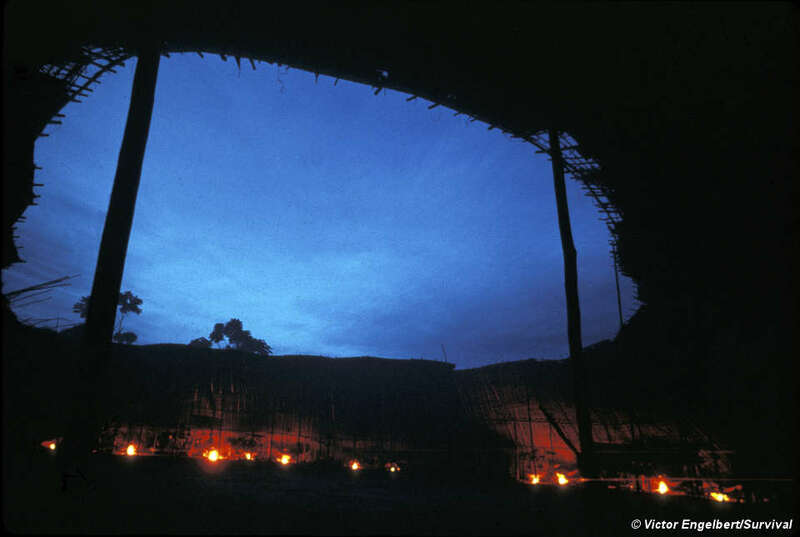 In 2004, Yanomami from 11 regions in Brazil met to form their own organisation, Hutukara (meaning ‘the part of the sky from which the earth was born’), to defend their rights and run their own projects. 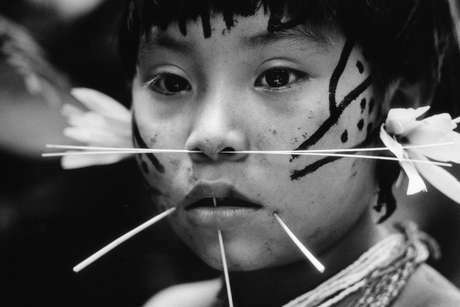 As a result of their increasing contact with outsiders, the Yanomami and CCPY, a Brazilian NGO, set up a Yanomami education project. 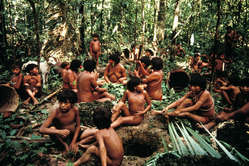 One of its main aims is to raise awareness amongst the Yanomami of their rights. Yanomami teachers are being trained to teach reading, writing and maths in their communities. Other Yanomami have been trained as health agents by Urihi, a healthcare NGO. However, in 2004 the Brazilian government’s National Health Foundation (FUNASA) took charge of Yanomami health care. 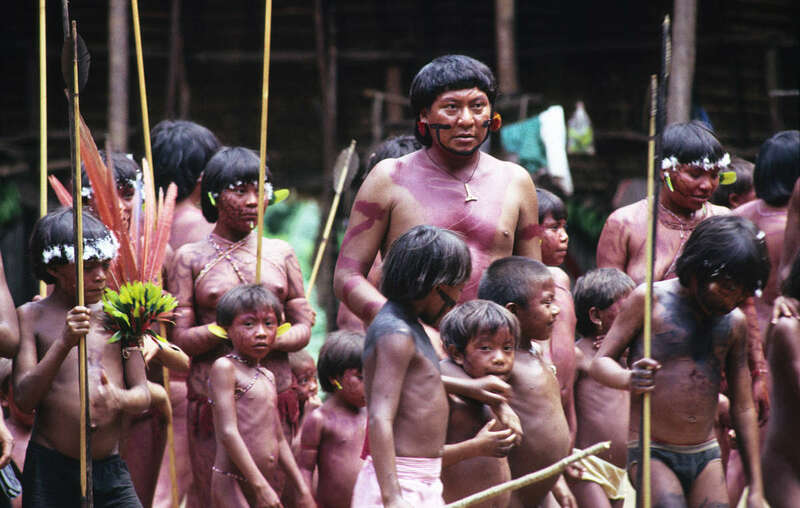 Since then, the Yanomami have increasingly denounced the chaotic health care system. Officials are being investigated for corruption and stealing money from the health programme. 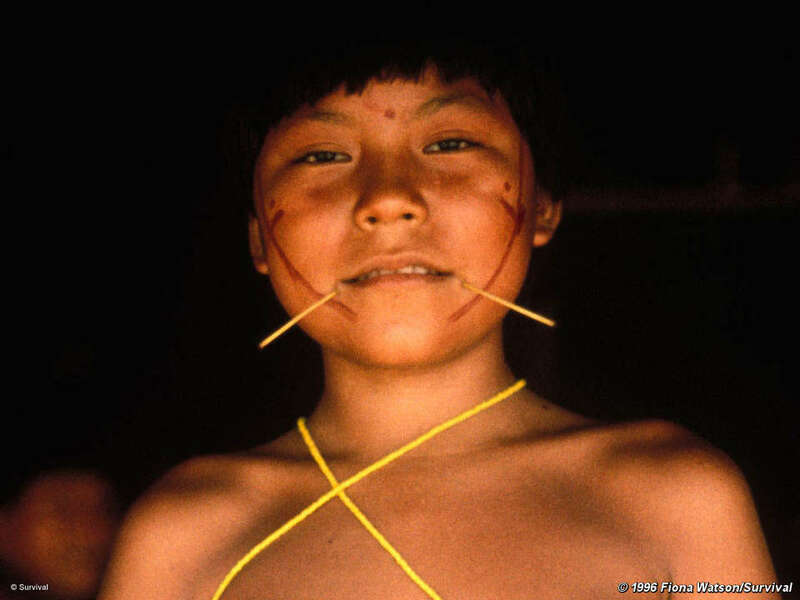 Medicines and vital equipment are not reaching communities stricken by malaria and other diseases, and Yanomami are dying. 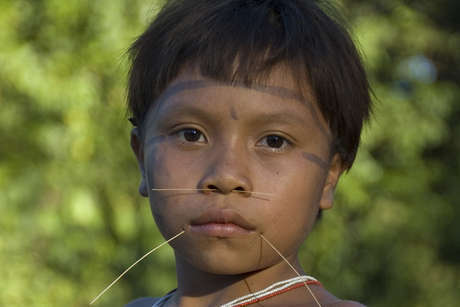 Yanomami in Venezuela formed their own organization called Horonami in 2011 to defend their rights. Like most tribes on the continent, they probably migrated across the Bering Straits between Asia and America some 15,000 years ago, making their way slowly down to South America. Today their total population stands at around 35,000. 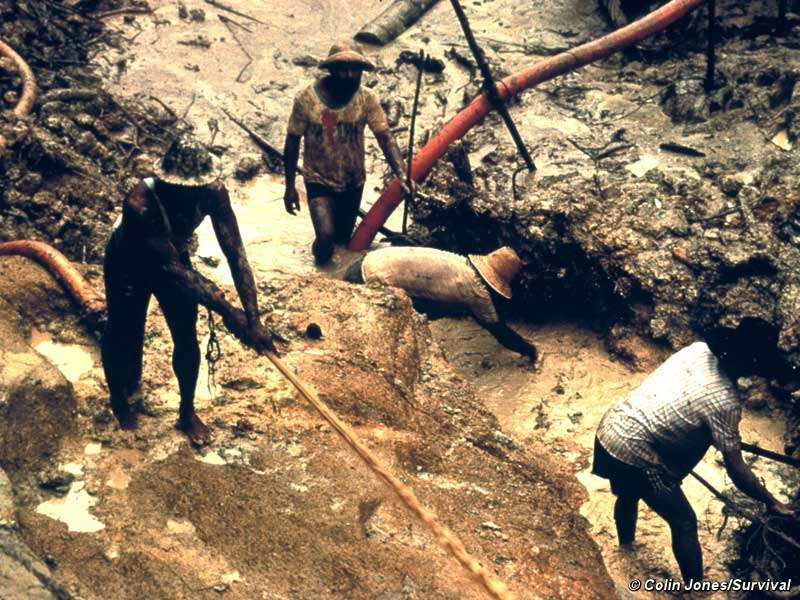 Thousands of gold-miners are now working illegally on Yanomami land, transmitting deadly diseases like malaria and polluting the rivers and forest with mercury. Cattle ranchers are invading and deforesting the eastern fringe of their land. Shaman Davi Kopenawa Yanomami, speaks about what the proposed mining bill would mean for his people. A Yanomami boy paddles his canoe back to his village in the Brazilian Amazon. 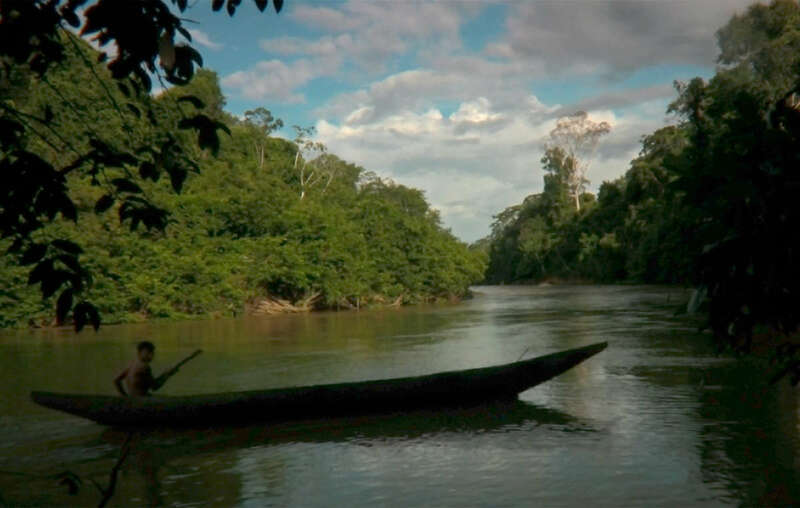 FUNAI, the Brazilian government’s indigenous affairs department, has placed a new team in the area to ascertain where the Moxateteu are and how many they are, without making contact. 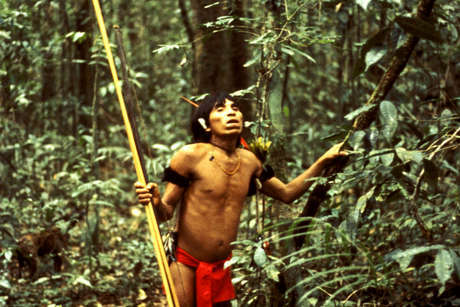 Survival has supported the Yanomami for decades. We led the international campaign for the demarcation of Yanomami territory, along with the Brazilian NGO, the Pro Yanomami Commission (CCPY). We have also supported their health and education projects. 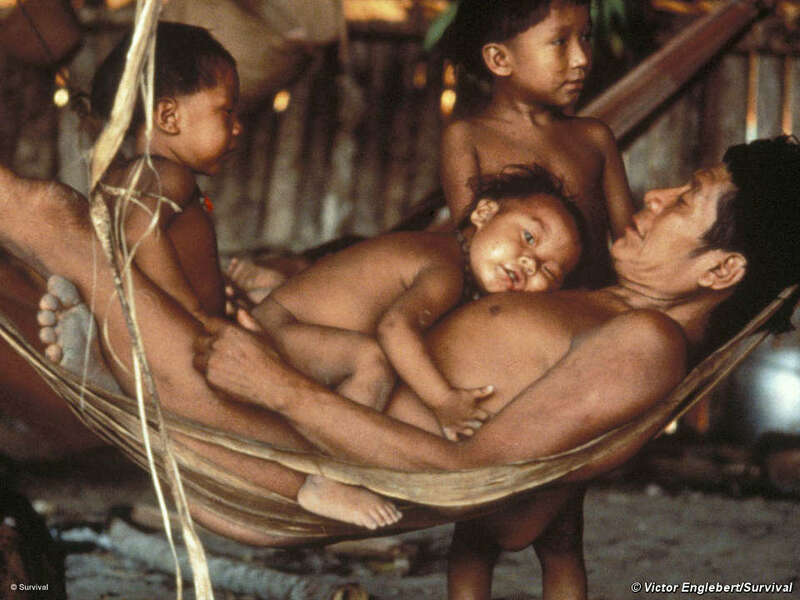 Yanomami family gathered around a hammock made from banana tree fibers. 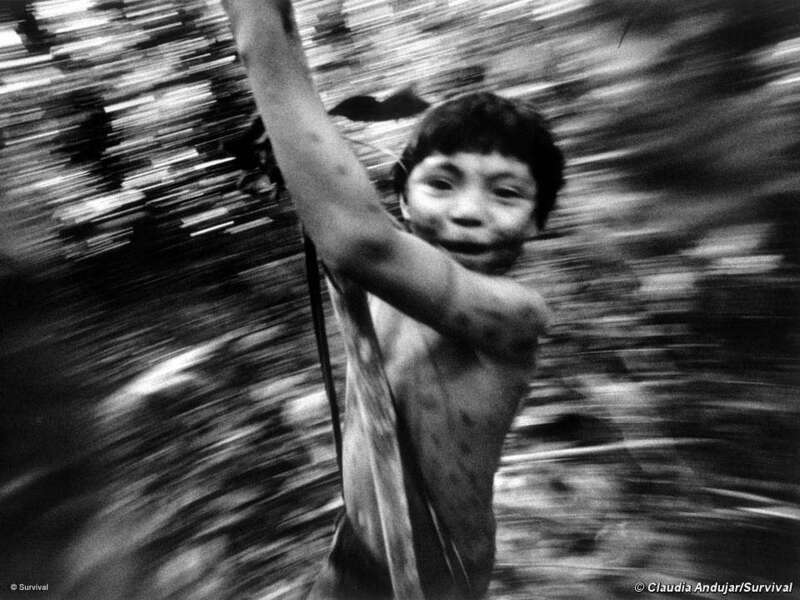 Please join us in pushing for the Yanomami’s land rights and their protection from outsiders’ disease and violence. 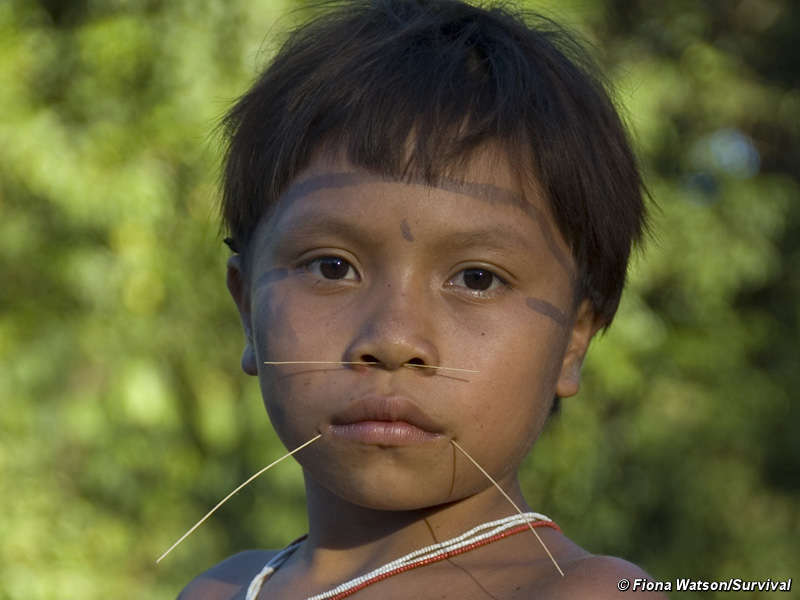 Your support will help the Yanomami keep control of their lands, lives and futures. There are many ways you can help. Writing a letter to the Brazilian government can make a real difference. 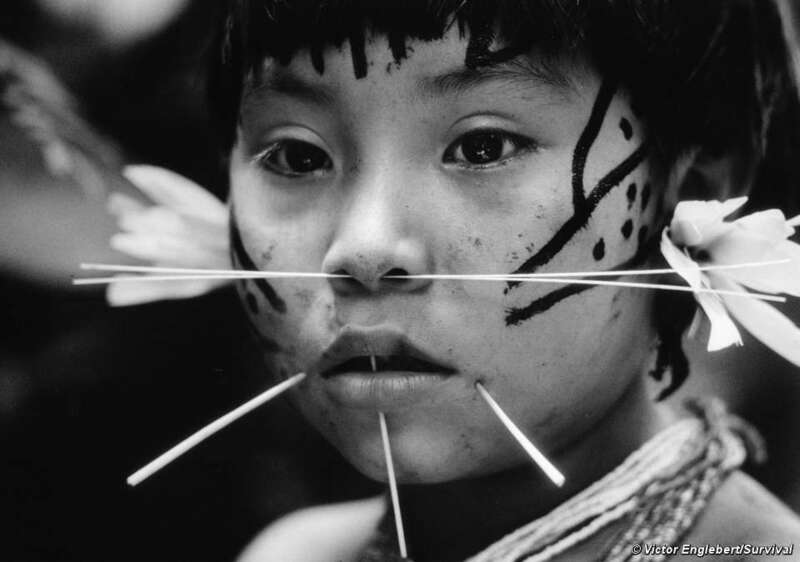 Donate to the Yanomami campaign (and other Survival campaigns). Write to your local Brazilian embassy.